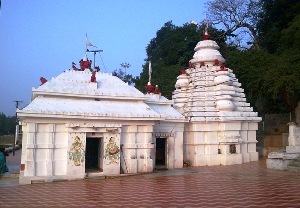 The Bhattarika Temple is another famous Hindu pilgrimage destination in Cuttack. Dedicated to the Goddess Maa Bhattarika, who is believed to be an incarnation of Shakti, the temple is located right on the banks of the River Mahanadi. An interesting myth adds a colorful hue to the background of the Temple. In a war between Sahsarasjuna and Parasuram (an avatar of Lord Nayrayan), it was Saharasjuna who emerged victories in the first round. Parasuram not to be out done appealed to the Mother Goddess by mediating on a stone where he imaged the Goddess. The Devi pleased with his painstaking appeal imparted her Shakti to him Parasuram rejuvenated with the divine power of the Goddess beaten Sahasrajuna and from then on the place where the Goddess appeared came to be known as Bhattarika.